The National Hockey league All Star Break has come and gone and with a wide range of activities throughout the weekend the All Star Game itself has started to take a back seat to everything else. In particular, the NHL Skills Competition is starting to make a case for being the main event of the weekend with contests such as ‘Fastest Skater’ and ‘Hardest Shot’. The game has lost its luster over the years and the league has taken a number of steps to revive its popularity. The current format features teams selected from all four divisions competing in a ‘three on three’ mini-tournament format. Three on three hockey is definitely exciting and has been a big hit since implemented as part of NHL overtime. For 2019, the Metropolitan Division emerged as the winner. With four goals in two games the Metropolitan Division’s Sidney Crosby took home the MVP Award. 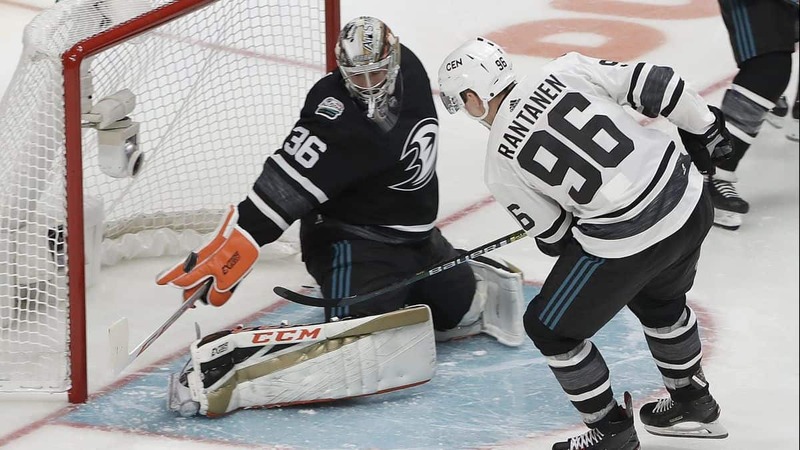 The first semifinal game was a serious rout as the Central Division opened up a 10-1 lead on the Pacific Division before coasting home with a 10-4 victory. Gabriel Landeskog went for a hat trick with Patrick Kane and Mikko Rantanen each contributing a pair of goals. Single goal scorers were Roman Josi, Ryan O’Reilly and Mark Scheifele. The Pacific Division was led by Erik Karlsson who scored a pair of goals. Brent Burns and Johnny Gaudreau also found the back of the net. The other seimifinal game was a bit more competitive as the Metro Division beat the Atlantic Division 7-4. The final score doesn’t really convey the back and forth nature of the matchup with the team trading goals until the final five minutes. The score was tied 4-4 at the 13:37 mark before three straight goals by the Metro produced the final margin. The Metro scorers were Seth Jones and Sidney Crosby (two each) along with Sebastian Aho, Cam Atkinson and Kris Letang. The Atlantic Division got four goals from four players—Jack Eichel, Jeff Skinner, Steven Stamkos and John Tavares. In the final, the Metro made short work of their Western Conference rivals as they opened up a 5-1 advantage over the Central before cruising to a 10-5 victory. The Central Division’s move from Pekka Rinne to Devan Dubynk in goal proved to be ill advised as the Minnesota Wild netminder allowed the first goal at the 0:22 mark and a second goal just a minute and a half later. The Metro got two more goals from Sidney Crosby in the final along with a pair each from Cam Atkinson and Matthew Barzal. Claude Giroux, Kris Letang and Kyle Palmieri each scored as well. For the Central, Mikko Rantanen had a pair of tallies along with Gabriel Landeskog, Ryan O’Reilly and Brandon Wheeler. The Central won their semifinal game over the Pacific as a +130 underdog with the contest exceeding the posted total of 11.5. In the other semifinal game, the Metro cashed as a -105 betting choice with the 11 total goals just barely staying ‘Under’ the 11.5 total. In the final, the Metro was a +100 betting choice and the game easily exceeded the total of 10.5.